It’s the innovative, graphical, UK Web Directory – providing a quick link to local websites. Quoakle’s innovative, online directory isn’t text-based but graphical. It uses colourful logos and images to connect users, quickly and easily, with a large number of local websites. 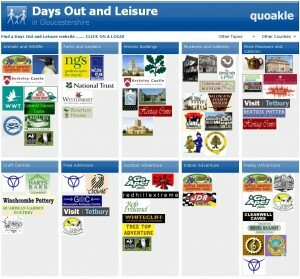 Conveniently organised into counties, topics and categories, Quoakle helps you see at a glance exactly what you want. 2. Select the county you are in. 3. Click the Gardening button. 4. Find the landscaping category to see a selection of businesses in your area that can provide the service you need. Clicking on each logo or image takes you directly to the company’s web site. A business may appear in several different categories, or even several different counties. The key idea behind Quoakle is community – connecting local people with local businesses. Quoakle is now covering over 60 different counties, including Gloucestershire, Wiltshire, Herefordshire, Oxfordshire, Bristol and Avon, Worcestershire and Warwickshire. 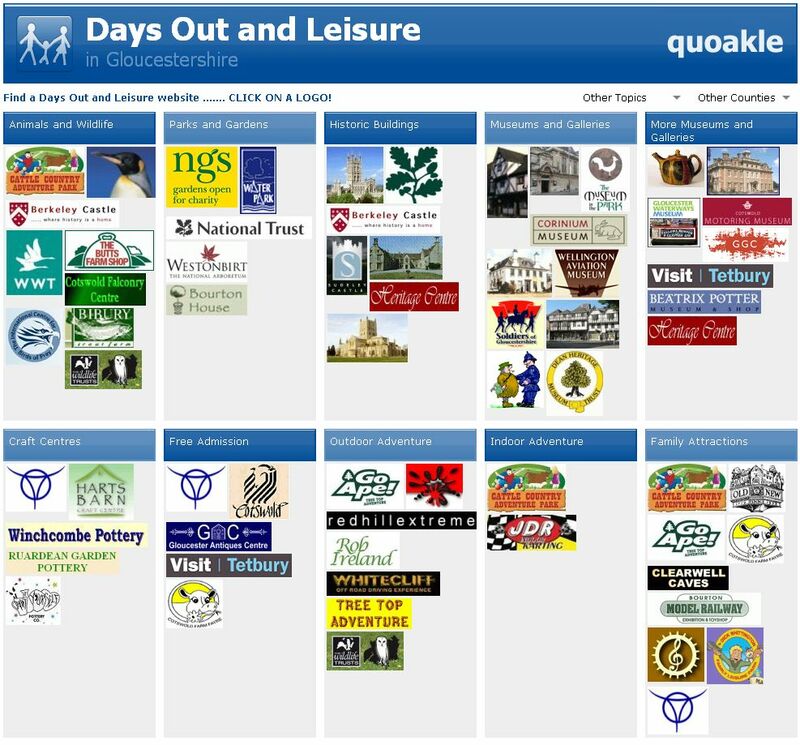 Quoakle – the graphical directory … the quick link to local websites. Connecting local people with local businesses quickly and easily through the Internet.